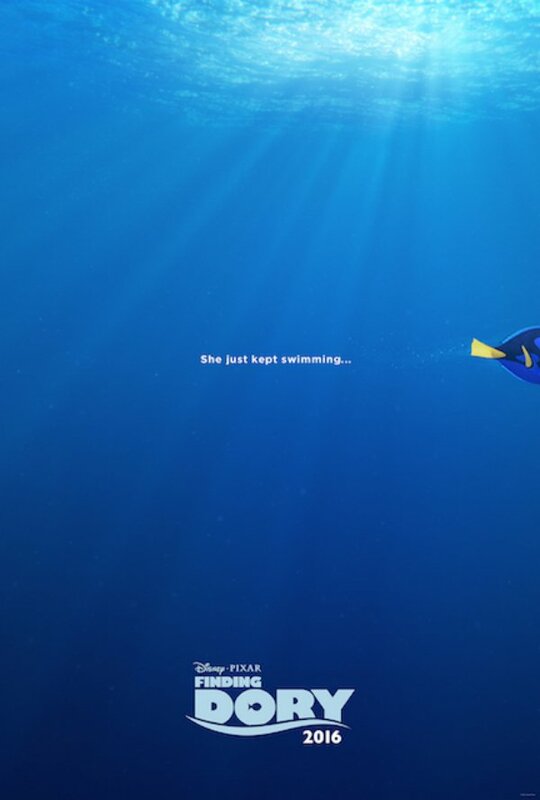 Though we have been told that the sequel will shift direction over to Dory, the forgetful fish who stole whole chunks of Finding Nemo, this teaser includes crucial Nemo co-stars clownfish Marlin (Albert Brooks) and Nemo, while also establishing the baseline plot. Dory, who tends to forget everything, thinks that she’s starting to remember something about her family. So she sets off on a quest to find them. Even though, 30 seconds after starting the adventure, she kind of forgets what the point is. The clip made its exclusive debut on The Ellen Show, and with good reason. Ellen DeGeneres returns to voice the forgetfully funny fish, who’ll head back to theaters in June. She won’t be alone. In addition to Brooks, the Finding Dory cast is filling up with several new names, though we don’t see (or hear) any of them in this first trailer. We know that there will be a The Wire reunion of sorts as Idris Elba and Dominic West lend their distinct voices to new characters. Diane Keaton and Ed O’Neill also are expected the join the fun, while O’Neill’s Modern Family cohort, Ty Burrell, will move over from Mister Peabody and Sherman to help Pixar with a likely fish voice. Not enough? Fine. Eugene Levy also is expected to voice a character in Finding Dory. Seriously, where do I start buying tickets? And now we have to buckle in and wait for a while. All of this Finding Dory material likely will be attached to Pixar’s The Good Dinosaur, which will be in theaters later this month, and will give animation junkies the fix that they have been craving since Inside Out. However, spoiled Pixar fans shouldn’t get used to having two features a year just yet, as Finding Dory is the only movie from the animation giant on the slate for 2016. Pixar will crank out two movie in 2017, at the moment, so there’s plenty of reason to celebrate. But for now, after Dinosaur, it’s all Dory, all the time. Don’t forget.